University of Pennsylvania law professor Amy Wax is accustomed to political wrongthink. Grades at the University of Pennsylvania are name-blind (meaning the instructor covers up students’ names prior to grading), so Wax says it’d be impossible to discriminate. 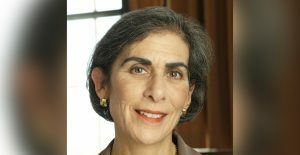 Critics jumped on her statement, interpreting it to mean “Amy Wax said black students can’t excel in law school.” Eventually, the University of Pennsylvania Law School relieved Wax of her teaching duties for first-year law students. In a Nov. 8 speech at The Heritage Foundation, Wax talked about the fallout of her politically incorrect statements in depth, and put forth tangible ideas about how to counter a radical, identity-based grievance culture that’s now rampant in university life. That requires honest debate, patience, intellectual honesty, investigation, and a lot of hard work. But it also is not for the faint of heart. And that is a lesson that is almost never transmitted today. That offense, bruising thoughts, and unpleasant facts simply go with the territory. They are an intrinsic feature of an open society, and they never can be entirely avoided. Next, Wax argued for censorship of speech—but not in the way you might think. No one can be heard to say, ‘I’m offended.’ They all have permission to be offended. But they just can’t express it. No one is allowed to accuse anyone else, in the classroom or out, dead or alive, of being racist, sexist, xenophobic, white supremist, or any other derisive, identity-based label. No slurs or name-calling. These don’t enlighten, educate, or edify. They add nothing. Give us an argument. Tell us why the other person is wrong. No one can complain to administrators—those officious thought police—about anything said in class. Finally, both the government and private donors need to rethink the lavish financial support for higher education, and especially for elite and selective institutions, which serve only a teeny-tiny portion of our population and which in many ways, I’m afraid, have become an anti-Western and anti-American liability. How can we get the rich to see that supporting elite universities today might not be the wisest and more fruitful uses of their hard-earned money? What we need is a list of alternative causes and alternative institutions and goals for their money that help ordinary, average, unspecial people who have been unduly neglected by our elites and our increasingly walled off from them. Wax expressed doubt that classrooms on college campuses would adopt these guidelines anytime soon. “The question is whether there’s any hope of such protocols being implemented on a wide scale. In the current climate, I doubt it,” she said. Until then, she expects the threat against politically incorrect professors will get worse. If their presence causes offense, distress, feelings of insult, fears of ill treatment, that is enough to eject them from the classroom. And of course, these perceptions and feelings are subjective, they are self-confirming, they are immune from challenge. It’s all in the mind of the beholder. And the beholder’s mind reigns supreme. Hear more from Amy Wax in The Daily Signal’s upcoming edition of “Problematic Women,” where we ask her about #MeToo, feminism, and gender roles.